Hubris and the job I almost took. But didn't. In the aftermath of the great recession businesses are having to re-learn some old lessons. One I had to re-learn last week is that it's very possible for a one person business to be too busy. In fact, it's very possible for a whole town to be too busy. Let me explain. I am booked on video and photographic projects every week day this month except for a little chunk of time that spans the 19th through the 21st. I try not to book work on the weekends because invariably that becomes the time when we repair stuff that broke the week before, and it's the time that post production always seems to spill over into. But having lived (barely) through the Great Recession I still find it hard to turn down work. Even if I intellectually understand that it would be better to do so. We're always trying to make hay while the sun shines. We're always trying to offset those lean years in the past and put away a bit more for the future lean years that seem to come as regularly as tax season. On the 22nd of the month I begin a large, corporate project that will occupy my every waking moment until Monday the 26th. The job has lots of moving parts, is partially in conjunction with Formula One, and is a high profile assignment. I need to do pre-production on this one to make sure all the parts work. And, it's been on the books for months. But, of course, someone called from a production company in the mid-west with a very large project and the shoot dates would be the 19th and the 21st. The project is for a very large technology company and would require me to use a number of assistants and no small inventory of rental gear to do correctly. The creative brief is still in transition, which is also a very scary thing. The more I looked at pre-production the more the job seemed to grow in scope. While I would love the prospective client's money, and might have been able to sub out a lot of the moving parts to unknown and unproven contractors I knew in my gut that I just didn't have the bandwidth to do this project justice. And I couldn't think of anything that would be worse than going into a job half-assed and then having to leave the client in strangers' hands as I rushed off to start another tough and lengthy project. Too much to go wrong. I called back and declined the project. But instead of just walking away I spent some time putting together the information I'd distilled about process and also gave the production company the names of the people (other than me) who are best suited to do work of this scope, here in Austin. I wish them luck but I know they are better off with someone who can focus all their energy on getting the job done. You can't accept everything. You can't do it all. A quick user's guide to the blog. 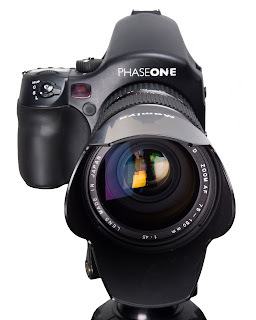 Sometime in the recent past I put up some images, that I took using the Panasonic fz 1000 camera, here at the blog. Now, as long as I keep the images at 2100 pixels and smaller I don't have to pay anything for the storage, and they upload faster, so I've pretty much settled on making my image files that large for posting. What this usually means is that the pictures are down sampled from 16, 20, 24 and 36 megapixel files to 2 megapixel files. It's inevitable that some information gets lost. But the devastation doesn't stop there. No. The files that mostly started life as glorious raw files, gliding through Adobe products as sleek, fat, RGB tiffs also end up being converted to much more compact Jpegs with harrowing amounts of compression used to stuff them into themselves. Why? Because Jpegs are one of the few file types that Blogger supports. If you look at the gallery on your big, calibrated, 4k monitor you are seeing image windows that are less than 900 pixels wide. Betcha won't see the same detail you might have if you were sitting next to me as I worked on the full sized files! But, at least you'll have a fighting chance seeing what the images kind of look like if you click on them and go into the "gallery" mode. In that mode you'll see the 2100 pixel (max side) images instead of the even smaller than 900 pixel images. Here's how it works. I load one image or multiple images into the blog post. When you open the blog post the images are in-line with the (very, very important) copy. If you use your mouse, pen or finger on a touchpad, to click directly on any of the images it will enlarge the image up to the maximum size I've loaded into the system, in a separate window. You'll also see a series of thumbnails across the bottom of your screen. You can either click on the big image in the new window to go to the next image in line or you can click down in the thumbnail strip at the bottom to move to another image. When you get tired of looking at my pictures big (Yes, I know, it sounds improbable...) you can click the little "X" in the top right corner of the separate image window to return to the blog format you already know and love. When you read the blog and/or look at the pictures you may be moved to make a comment or agree with some insightful sociological assessment I've made. You may just want to let me know what a good job I'm doing entertaining you each day. If that's so you can go to the "comments" at the bottom of each post and click the "leave a comment" hyperlink. There you can write all kinds of stuff. Except for stuff that pisses me off because if it pisses me off I will moderate the hell out of it. This blog doesn't cost you anything so don't expect much. If you are despondent about the shallow subject matter or the lugubrious and tortured writing style; good luck! Don't expect it to change. Hey, I'm thinking about starting a kickstarter campaign to buy one of these systems (but the newer one) and fly to Asia for several months of art photography and meditation. I'm thinking I'll need a couple hundred thousand dollars to do it right. I certainly don't want to use my own money, right? I'll send you a personalized camera strap. I'll be happy if you must send less and if you send any money at all you can lie and say you know me personally and I won't actively contradict you. It should be exciting and fun (until someone pokes an eye out).